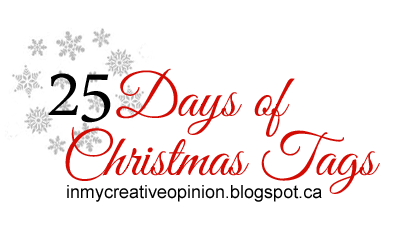 Welcome the 6th Annual 25 Days of Christmas Tags! 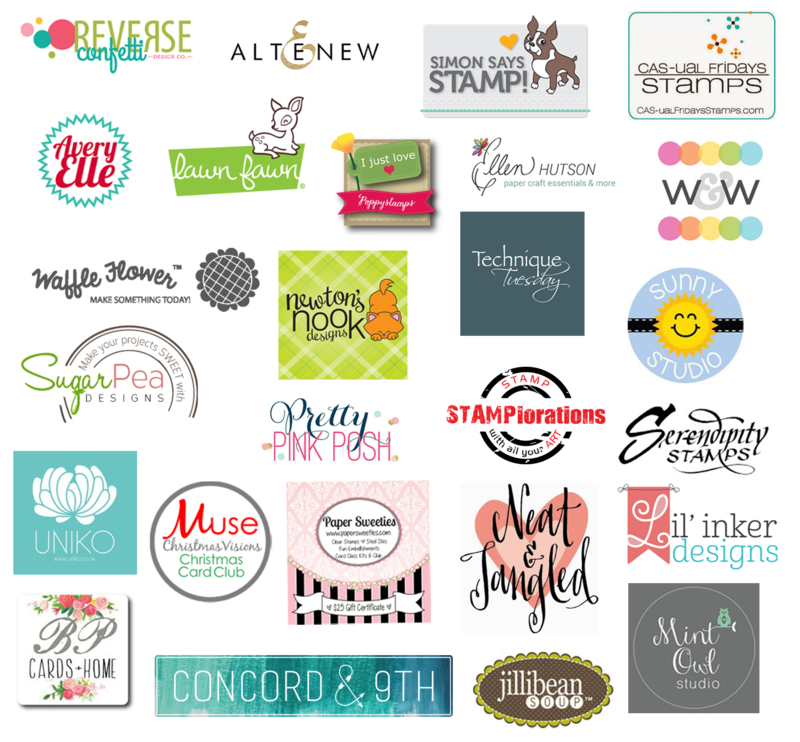 If you are new to the event you can click HERE too see the posts from the last 5 years or if you go to my Pinterest board (link on sidebar) you can see boards for each of the 5 past years, there is so much incredible inspiration there. 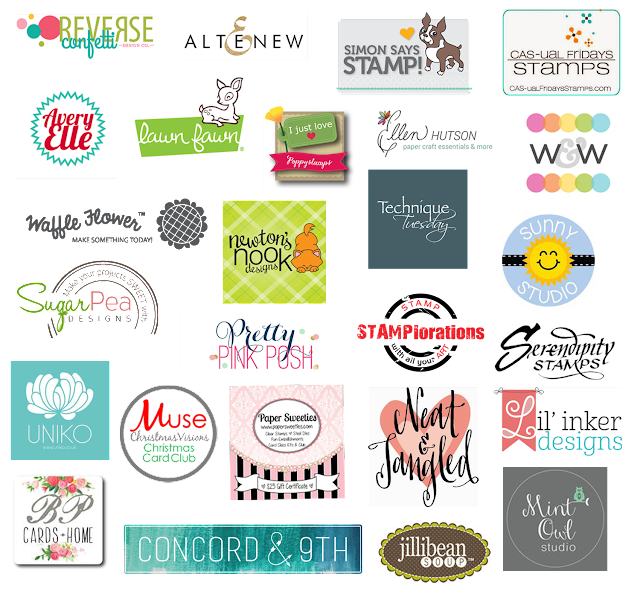 This year I am so excited to share that there are 25 sponsors for the event and their designers will be joining me as my guest for a day! Day 1 of the event officially starts on my blog today November 1st at 6:00 am (EST)! Do you want to win a prize? Comment on the posts each day by answering the question at the bottom of the post. Follow the blog hop and comment along the way. Participate by creating your own tags. The rules for participating are simple, you MUST create a Christmas tag inspired by a tag you see during the event and you MUST state in your post the day and the tag you were inspired by. Enter as many tags as you like. To keep is fair for everyone, only one comment per post please. You may however create as many tags as you would like as long as you follow the rules. The more you hop along and comment and the more you participate the more chances you have of winning! This year I will keep the link up open until one week after the event is over to give you time to finish up. The contest and linky will close December 2, 2016 at 12:00 am (EST)! Prizes will be announced on December 9th here on my blog. I LOVE this series, Tracey! Excited to see all the inspiration AND to participate! You are incredible, Tracey!!! Thank you for all of the time and energy you put into creating the 25 Days of Christmas Tags series. So much creative inspiration, so much fun, and so many amazing sponsors!!! Looking forward to participating! Yeah Tracey, glad to see you back bringing us the 25 Tags...just like Christmas card challenges, this is a great way to get tags made for the gifts we give! thanks Tracey! I loved this event last year - soooo many wonderful ideas. Looking forward to the next few weeks. Very fun--looking forward to this. Hooray! Looking forward to participating, it will be my first year. This will be my second year participating! Cant wait to get stamping. Woo hoo! _Almost_ makes me look forward to November! Looking forward to playing along. Can't wait to play along! WOW what an exciting event!! Wow! So excited and amazing! This will be my second year of participating! Thank u so much for all amazing sponsors! I'm going to try my best to do a tag a day, Tracey. Yay! Can't wait to see all the beautiful tags! I didn't play along last year, but am going to give it a try this year. Thanks for all the inspiration. Hi Tracey, I made a few tags last year, but this year I really want to "play" a lot more. Thanks for all the inspiration and for organizing this. This would be my second year participating and I look forward to all of the inspiration in this event!! :) Thank you! I'm new to this challenge of yours Tracey but it sure sounds like fun! And if it will help me get my tags done for Christmas that's a big plus. What wonderful inspiration here already!! Tracey, thanks so much for pulling this wonderful event together! I'm so excited to have found my way here - first year! What a great idea for lots of inspiration. And the tags are like super-small little bundles of joy and love! I always look forward to this time of year on your blog because the tags are always so wonderful. Once my report cards are done I will gladly join you in this great hop. Just came across this post & it looks like a lot of fun! I for one almost never use tags for some reason, and it's about time I started!! Can't wait to see all the inspiration! I found this via Ardyth's blog.Love all the inspiration and must get making a few tags. 25 Tags of Christmas will be so incredible! Can't wait for all the inspiration to make my own tags. Such fun! Wow, I'm new to this, what a cool event! What a great event. Thanks for the inspiration. So exciting to see all the tags!! I can't wait to start creating my own!! Love seeing all these tags and hope I can make some. Is it that time of the year again?? Hoping I can squeeze in a tag! Love all the tagalicious inspiration! You are amazing! Boy am I glad you're not asking us to pick a favorite! They're all so adorable and inspiring. Tho I try to keep it under wraps til after Thanksgiving, I can definitely feel a tingle of the Christmas spirit trying to make it's way out into my world. Thanks everyone for sharing! Thanks for an awesome tag party! I just found this challenge while commenting on beautiful tags on different blogs and am so excited to see all the wonderful tags! Off to check out the daily inspiration and get to work on some holiday tags of my own! wow! what a cool idea :) looking forward to participate and be inspired by all the wonderful and festive creations! How fun! So excited to make some tags and play along! Glad to see this fun event is back on! I am so excited I came across this. I always make my own tags for every occasion and I'm so excited to be inspired by this. Thank you!!! Tracey...I am late but it will be so much fun catching up this week! Thank you so much! Hi Tracey - must say that I am having so much fun playing along with your Tag challenge. Wonderful inspiration from yourself and guest artists and also alllll the other participants. It's a great event and thanks so much for hosting it and to all the sponsors. What a fabulous way to inspire us!! Thank you so much for having it!! I had so much fun last year so I don't want to miss it. Love these series so, so much inspiration here. Thanks for all your effort every year.I am a bit late to the party but i will do my best. I love seeing all these beautiful tags every day! Some days I have time to sit with a cup of coffee and just put on Christmas music and hop around. Some days I only have a quick minute to peek at a few goodies and it all makes me smile and lift my mood. Thanks for a fabulous event! Love the idea of this event! I was looking forward to play along, but I don't use Instagram. Does this mean I cannot participate? This should be a total blast! This is great inspiration! So many creative tags. Thanks for this tag series. This is great inspiration! Thank you. So many tags and so much inspiration! ... for a very IMPORTANT DATE!!! Finally! Added 3 tags. All this inspiration in one place... Love!!! Hugs! Im late too.. But I LOVE what I have seen so far!